Do you want to have a swimming pool at home? It must be fun! But building a real swimming pool not only costs a lot of money, but also takes time and effort to keep it clean, so it can be very cumbersome. If it's an inflatable pool, it will meet the demand. The inflatable pool won't take up much space.More importantly, it will be very economical and will give you the same pleasure as the pool. Having a pool in the back yard has long been a symbol of middle-class wealth and status. If you have a pool in your backyard, you're the big shot. For many, this may be the goal they have always fought for. But that goal is now within reach because there is now the best inflatable pool available for adults. With an adult inflatable pool, you can install your own convenient place and have fun in the backyard when you feel the need to splash around. The inflatable pool is very durable. You don't have to deal with crumbling plastic pools, and you don't have to deal with pools that are anchored to the ground or fully framed, but you can still be confident in its ability. The inflatable pool can hold treated water. Many inflatable pools even come with complete filtration systems, so you can keep a clean, sanitary environment in place when you want to splash around. Imagine that you can jump into the pool and swim when you get home, which may be the best way to relax after a hard day's work. What are you still hesitating about? 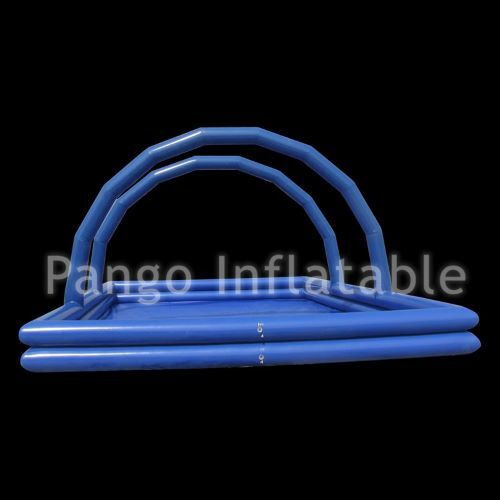 An Inflatable swimming pool for adult is your best choice!